under the small umbrella: Are you the Ultimate Hunger Games Fan? LIONSGATE UK launched “The Ultimate Hunger Games Fan competition” with leading weekly magazine “More!”, on Tuesday, 12th July. One lucky winner will receive a trip to the set of the highly anticipated film THE HUNGER GAMES, which is currently shooting in the US and scheduled for release here on March 23, 2012. To enter the competition, which will run until 25th July, fans need to log on to Moremagazine.co.uk and answer a question about the books to win. The winner will be announced on July 29th. Included in their set visit will be a tour of set, select meet and greets with some of the cast and crew and autographs. 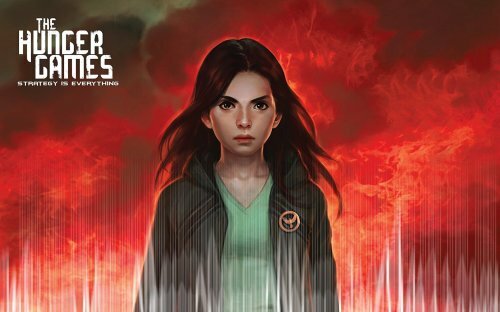 Every year in the ruins of what was once North America, the nation of Panem forces each of its twelve districts to send a teenage boy and girl to compete in the Hunger Games. Part twisted entertainment, part government intimidation tactic, the Hunger Games are a nationally televised event in which “Tributes” must fight with one another until one survivor remains. THE HUNGER GAMES is directed by Gary Ross, and produced by Nina Jacobson’s Color Force in tandem with producer Jon Kilik. Collins’ best-selling novel, which has over 3 million copies in print in the United States alone, is the first in a trilogy of novels which have developed a global following.